As the team at Whitefish Legacy Partners rolls out its plan to complete a sprawling network of community trails encircling Whitefish Lake and “close the loop” on the ambitious project, its earliest champions can’t help but look back at its humble beginnings. 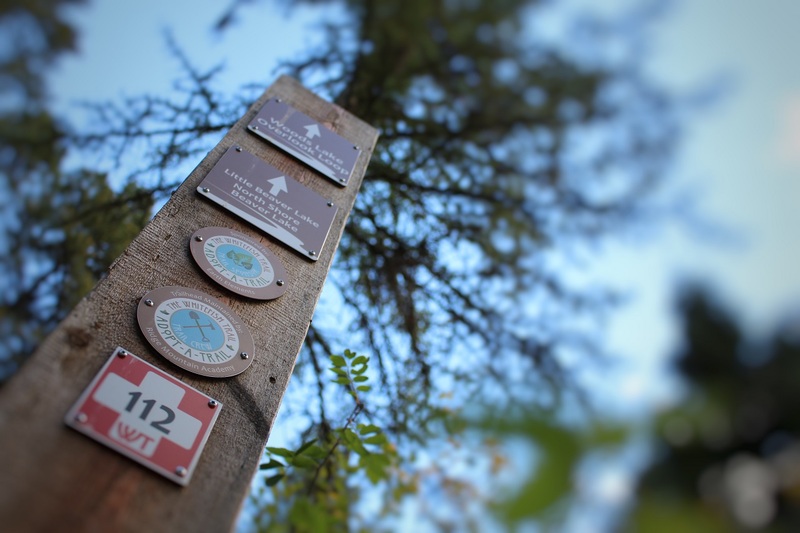 The Whitefish Trail is the anchor project of Whitefish Legacy Partners, the upshot of a community collaborative to preserve clean water, public access, recreation, and working forests, and currently features 36 miles of trail, providing access at 10 trailheads in and around town. As the project’s co-founder in 2003, Whitefish attorney Diane Conradi recalls the tremendous developmental pressures bearing down on the mountain community as growth swept across the Flathead Valley and the Department of Natural Resources and Conservation turned an eye toward real estate proposals for school trust lands in Whitefish. Some of the land in question had existing, user-built trail networks on it, and the prospect of losing prime recreation to development worried members of the Whitefish community. The notion of an expanded trail unified the community, and they took their concerns to the Land Board. In response, the Land Board chartered the 2004 Whitefish Area Trust Land Advisory Committee, which consisted of numerous stakeholders, including the DNRC. The committee drafted the Whitefish Area Trust Lands Neighborhood Plan and over the next year brainstormed possible uses for the land, eventually settling on the creation of a permanent public recreation corridor. The plan seeks out the best ways to manage and protect the lands while providing revenue for schools, and WLP formed to demonstrate that outdoor recreation could be both an environmentally sound and financially productive use of land. “It’s hard to believe what we have accomplished since then,” Conradi said. Turning an eye toward the future, WLP’s nine-member board of directors and two staff members have set the stage for the next round of trail development in Haskill Basin, where 5.5 miles of trail will connect downtown Whitefish to Whitefish Mountain Resort on Big Mountain. If completed, 75 percent of the 55-mile loop will be complete, but it hinges on funding. The group has secured a $251,300 grant through the state Recreational Trails Program ($90,000), the Land and Water Conservation Fund ($150,000), and the Flathead National Forest’s Resource Advisory Council ($11,300). But the money is contingent on WLP raising an additional $200,000 in necessary matching funds in order to put shovels to the ground next spring. In the last decade, WLP has invested $19.4 million in the project, generating more than 65,000 user visits annually and conserving 5,500 acres of land. “Closing the loop is a tough nut to crack, but Haskill is the next piece of it,” Jones said. To achieve the project’s next phase in Haskill Basin, WLP is collaborating with the city of Whitefish, the Flathead Land Trust, Iron Horse subdivision, Whitefish Mountain Resort, and Stoltze Land and Lumber Co. The goal is to have the trail open by next fall and to allow access for Nordic skiers by next winter. The group’s “2020: Close the Loop” plan doesn’t call for having every mile of trail built by 2020, but rather urges 20/20 vision in order to map out fundraising needs in order to roll out the phases in succession. The remaining phases following the completion of Haskill include connecting the Beaver Lakes section to the Swift Creek trailhead at the north end of Whitefish Lake. The third phase involves a new trailhead off Big Mountain Road at Holbrook Overlook, connecting to Smith Lake. The fourth phase includes a trail connecting the Swift Creek trailhead to the Lupfer trailhead. To donate, visit www.whitefishlegacy.org or call (406) 862-3880.